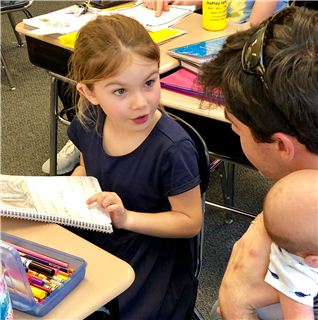 Lower School students in kindergarten through fourth grade had the chance to showcase their writing projects on Wednesday, April 10th. 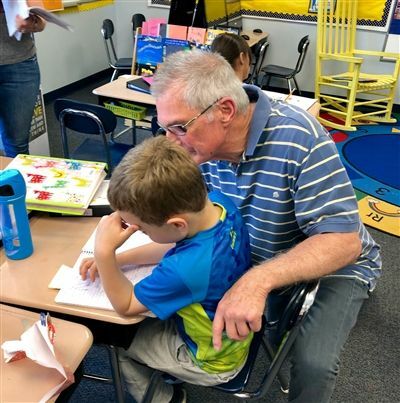 After a brief information session about the writing curriculum and its progression through the grades, parents were able to visit the classrooms to see not only their own children’s work, but writing examples from students in higher and lower grades. Click HERE for the presentation and video. The Writer’s Workshop curriculum introduces students to a variety of styles of writing. Students learn how to brainstorm ideas efficiently and the how to develop their “seed ideas” into larger pieces. Students write many “flash drafts” before settling on one that they will take through several revisions and eventually publish. Students begin by writing stories based on their own experiences. This provides them voice and choice in what they write as opposed to being required to write on a topic about which they might not be interested or might not have any information or understanding. 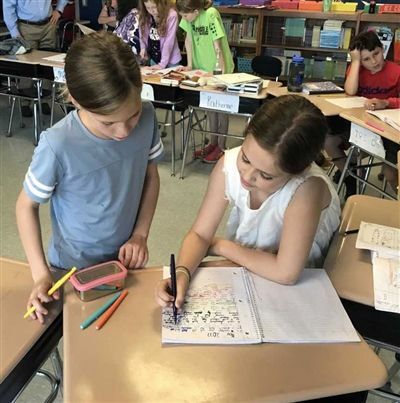 This curriculum and the strategies that teachers use to develop young writers puts the students at the center of the learning by allowing them to choose their subject matter. Each level of instruction is divided into three major units: Narrative, Informational, and Argument. In each grade level, students engage in projects at a developmentally appropriate rate. They study mentor texts in order to learn how they can improve their own writing. Each lesson uses examples from these mentor texts to highlight a specific skill for the students to practice in their own writing. Students identify the skill in the text, learn how to implement it in their own writing, and then spend the rest of the lesson writing and conferencing. It also highlights the process of writing that is, as professional writers know, a messy one. 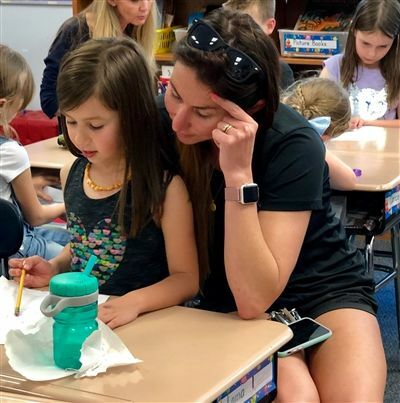 O'Neal students will go through many drafts, will write paragraphs that they will not use in their final product, and will develop a keen and critical eye of the purpose behind their writing and the efficacy of their own work. They will develop a “muscle” for sustained writing and will greatly increase the volume of the words they put to paper. At the end of each unit, students celebrate their hard work by publishing a chosen piece. The students truly own both their process and progress so that the end result is a product of which they are proud. All of the faculty at O’Neal are focused on increasing the amount and quality of students’ writing, across all of the subjects. Together the faculty examines how they teach different styles of writing, how they guide students through the process of writing, and how they include grammar and vocabulary study. After eighth grade, students will arrive in upper school with strong thinking and writing skills which will only be further honed and polished prior to college. No matter what profession O'Neal graduates pursue, they will need to be clear and effective communicators.